Leading Victorian homebuilder Porter Davis is partnering with Australia’s leading solar and battery provider, Bradford Energy to equip homeowners with tools for energy self-sufficiency. By installing the Bradford Solar ChargePack in knockdown rebuild homes, Porter Davis aims to help owners significantly reduce their power bills and household carbon emissions. Soaring energy prices across Australia have contributed to a national electricity affordability problem. A recent finding from the Australian Competition & Consumer Commission (ACCC) reveals that retail electricity prices in Australia increased by 80 to 90 per cent in the decade to July 2017, beating wage growth and price rises in other areas of the economy. Houses fitted with the 5.6kW Bradford Solar ChargePack, which comes equipped with the innovative Tesla Powerwall 2 home battery, will see their owners reap significant benefits with average savings of $26,000 over a ten-year period, achieving 90% energy self-sufficiency on an average day. Tesla Powerwall 2 home battery is charged with energy from solar panels, and used to power household requirements. Porter Davis’ knockdown rebuild homes equipped with Tesla technology will also see reductions in carbon emissions of up to 9,500kg per year. The limited-time promotional package will see the Bradford Solar ChargePack included in 50 new knockdown rebuild homes in Victoria. However, Porter Davis is exploring the possibility of working with Bradford Energy to continue providing leading ways for Australians to bring down their power prices. Observing that the partnership was further evidence Australians were looking for ways to take control of power prices, Bradford Energy Business Manager Ashleigh O’Brien said the company was keen to be part of the solution by allowing homeowners to take electricity generation into their own hands and reduce their bills by thousands of dollars a year. O’Brien adds that solar and battery systems can help ensure Australians enjoy secure, reliable electricity supplies even when the grid fails. A leading home builder in Victoria for over 19 years, Porter Davis has won the HIA National Professional Builder Award five times and the Victorian Professional Builder Award eleven times. Paul Wolff from Porter Davis explains that the primary advantage of a knockdown rebuild home is the ability to allow customers to remain in the street and suburb they love, while enjoying a brand-new home more suited to their lifestyle. Buyers are also increasingly seeking future proofed homes that can help them meet challenges such as soaring power prices instead of having to change their lifestyle for cost savings. Wolff adds that energy self-sufficiency technologies are set to become standard inclusions in homes of the future. 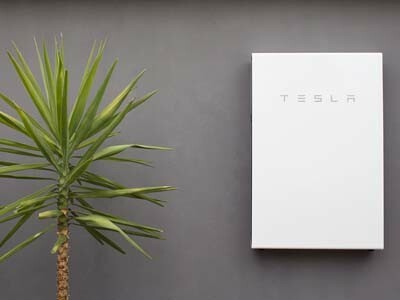 Bradford Energy has collaborated with Tesla Energy to bring its global leading Powerwall battery technology into Australian homes, transforming the way Australians are consuming and storing energy.